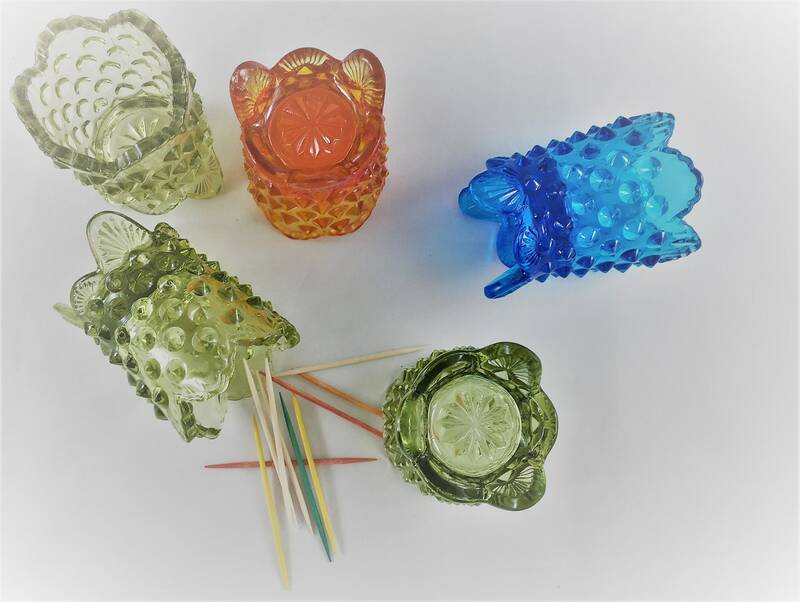 Featured is a nice set of five of vintage toothpick holders from Fenton. 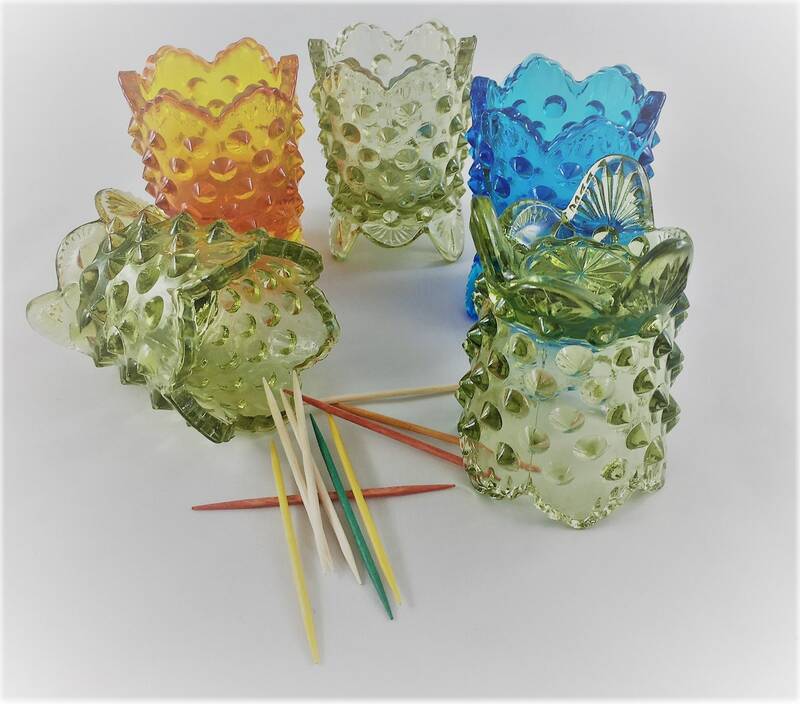 These are in their discontinued Hobnail pattern and include three in COlonial Green, one in Amberina, and one in Blue. 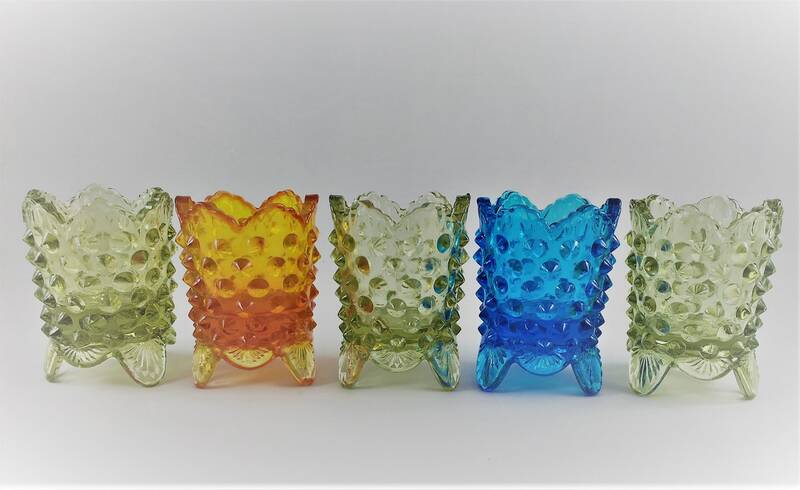 They are about 2 7/8 inches tall and are in excellent condition. No chip or cracks. Set of five. One for you and one for your four closest neighbors. You can be Fenton friends. Toothpick pals. All 5 pieces for one low price.